If you’re in the mood for a blast from the past, look no further. The Worker was Spyderco’s first ever knife design back in 1981 when the company was still young, which makes it a bona fide classic. This awesome Sprint Run has faithfully replicated the legendary knife with a VG-10 stainless steel blade and green G10 handle scales, keeping it modern and functional without trampling the knife’s legacy. Click here to learn more about this knife. There are few collaborations in the knife industry that are more iconic than Benchmade and knifemaker Warren Osborne. The Rift is one of their most robust collaborations to date, an overbuilt tactical folder with clean lines, unique style, and a remarkably durable build. Click here to learn more about this knife. 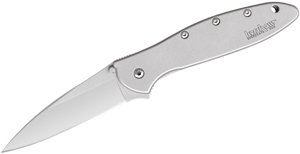 We’re always excited to see a collaboration between Kershaw and Emerson, two undeniable titans in the knife industry. This compact EDC folder more accurately represents the Emerson experience than some Kershaw collabs we’ve gotten our hands on thanks to those rugged G10 handle scales, though this will be a little kinder on your pocketbook than an actual Emerson CQC. The blade on this bad boy can, of course, be deployed by the patented Emerson Wave feature, but you get a surprisingly snappy and responsive deployment using the thumb disk, too. Click here to learn more about this knife. The Victorinox Swiss Army Pioneer is a sleek variation on their classic soldier knife, packing seven tools into a slim, durable Alox aluminum frame. 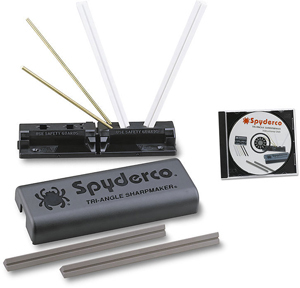 Click here to learn more about this model and its features. This is one of the simplest and most effective tactical fixed blades that Schrade has ever offered. While it is designed primarily as a defensive knife, the blade to handle geometry makes it a very effective utility cutter. 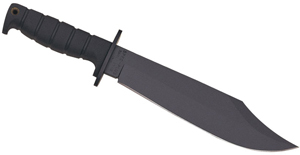 Plus, the closeout price makes it an amazing value for this much knife! Click here to learn more. Spyderco’s Para 3 is the next evolution in their best-selling Paramilitary series, and it’s easily one of the most anticipated new knives of 2017. This design may boast the same CPM-S30V stainless steel blade, G10 handle scales, compression lock, and American craftsmanship as the Paramilitary 2, but the more compact, EDC-friendly size has led Spyderco to designate it a model all its own. Click here to learn more about this knife.